Posted on May 2, 2014 by bestteacherblog Posted in Elementary, High School, Middle School, My Products, Teachers Pay Teachers	. 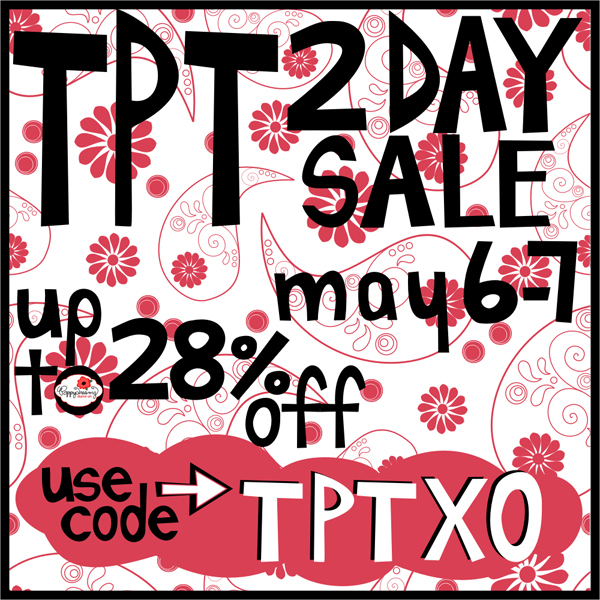 The Teachers Pay Teachers “Loves Teachers Sale” is just in time for Teacher’s Appreciation Week! You get 10% off the entire site and up to 28% off select products at select stores, May 6-7th, 2014! Sale image courtesy of Poppydreamz Digital Art.